I have come across Heidi's Fabric Mutt by chance. I really admire her generosity in sharing ideas and tutorials for all things beautiful that she has made. 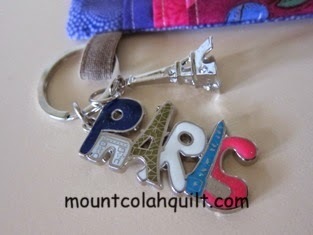 I need something little as a 40th birthday present and Heidi's tutorial on the key pouch comes in very handy. 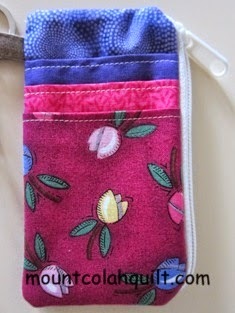 :-) I leisurely made this pouch in about an hour.... Jill is a lovely person to be around (when she is around!). 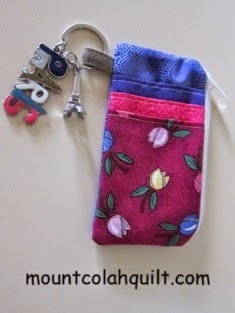 I have added a Paris key ring that I brought back from the trip earlier this year to make the key pouch a little extra special touch for her 40th birthday, which today.